Home» Garrick News » 5 STAR Movie Magic! 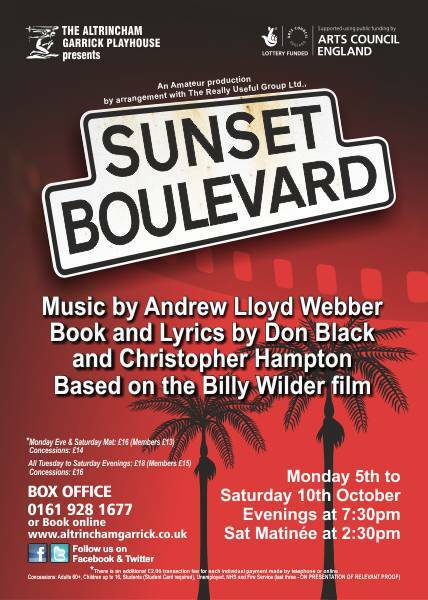 Once again we have a 5 Star Review for another of our Main Stage productions, this time for ‘Sunset Boulevard’ which opened last night. ?Sunset Boulevard ? musical movie magic at Altrincham Garrick? SUNSET Boulevard takes us back to the golden age of cinema when people worshipped the ground movie stars walked on. Hollywood, an exciting place where dreams could become reality and hopes could be dashed in equal measure. 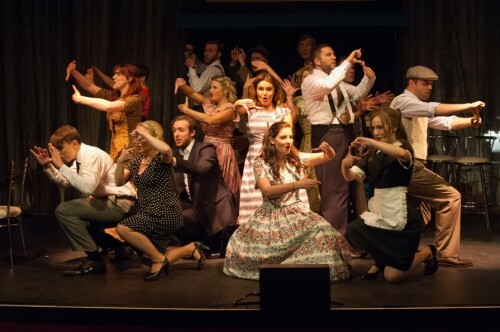 ?Altrincham Garrick?s fabulous production left me wondering why this show isn?t performed more often. The score is a non stop delight, frequently having the feel of an old school film score. Rehearsals must have been a pleasure from start to finish for director Neil Coe, lucky enough to work with the likes of principals like Steven Finney, Vicki Clarkson and Natalie Bennett, who should be plying their musical trade on a professional stage. Luckily for us, they aren?t and the end result is an evening of pure magic in a theatre that just can?t stop raising standards. 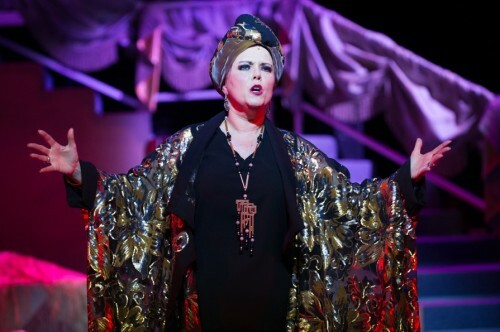 Finney plays Joe Gillis, a screenwriter who falls under the spell of a faded star of the silent screen Norma Desmond. Desmond, brilliantly played by Vicki Clarkson, is desperate to make a comeback and is the expert when it comes to playing the vulnerable victim, shunned by the industry she still loves. When they sing on their own they?re incredible, together they?re sensational. Like these two Bennett is outstanding as Betty Shaeffer, the young script writer who dreams of making a name for herself in the movies. All three could sing the phone book and it would be worth paying good money to hear them.It would be easy to be catty about Lloyd Webber?s musical style, which can lack subtlety sometimes, but this is his best work for me, an honour I?d previously given to Evita. So, how frustrating it was to see some empty seats on opening night because this is a major musical triumph for Altrincham Garrick. Packed houses for the rest of the run are the least the theatre deserves. Magnificent and magical. Book now to reserve your seats – as tickets are selling fast! Don’t forget, Keep it Live! – please support this production and The Altrincham Garrick Playhouse!